Adrian Clifford PGA Voted - Midland Region - Players past & present ! In order to create and nurture talent you need both quality professional coaching and the personal ability to motivate people towards an achievable goal. With carefully designed coaching programmes and a coaching experience which now spans 40 years, Adrian Clifford / Bigredgolf schools are well placed to help golfers improve. 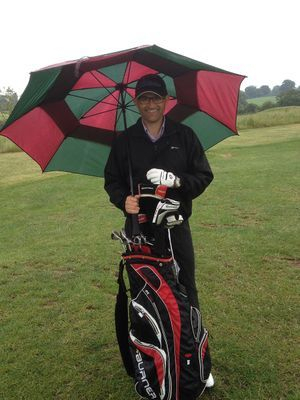 Adrian Clifford of Big Red Golf Schools has been coaching golf at Rushden Golf Club in Northamptonshire since 1999. 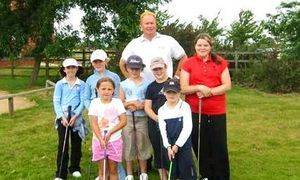 During this time many younger players have received golf coaching through individual, group coaching and Northants County Coaching programmes. Charley Hull at Stoke Albany GC now a full time Ladies European tour player. Ryan Evans at Stoke Albany GC who recently completed all four rounds of the 2016 Open Championship. Northants County Team player Karin Poolton from Daventry Golf Club from beginner to 9 handicap in four years and brother David Poolton also at Daventry GC, now a full time PGA Professional at Collingtree GC. Becky Maclaren of Wellingborough GC went from 54 to 12 handicap in just over three years. Becky is now a Northants County Ladies Team player. After four years of coaching, Callum Gant from Rushden GC is now playing for the Northants County Junior Team. 23 handicap in just three seasons at Rushden. Since 1976 I have had the pleasure to teach literally 1,000`s of adult players to learn how to play golf. From beginners to county standard players through to PGA Professionals, they all had one aim which was to improve and have fun playing `Better Golf` . The benefits of professional golf coaching are there to see. At Rushden we have a full 18 hole Par 71 golf course, a 6 x hole par 3 course, putting green and a 300 yard long practice range. Memberships start from just £49 for adult golfers. Please ask Adrian for further details. 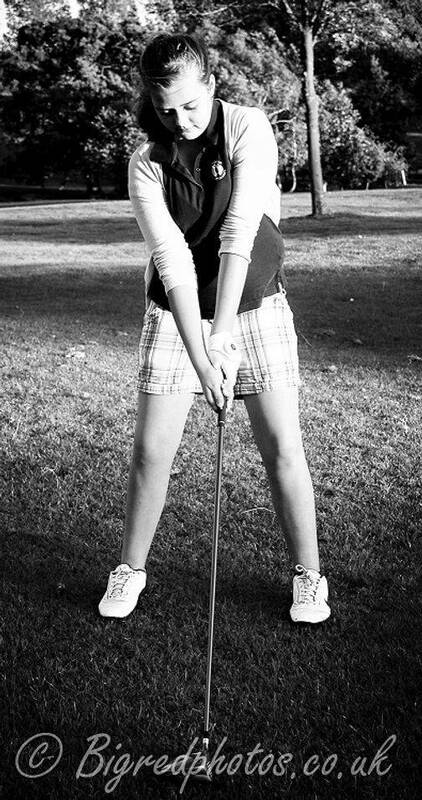 Hannah first asked to play golf in September 2012, when she was just nine years old, having a quick look online I soon came across Adrian Clifford (Big Red Golf) & booked Hannah's first lesson. Hannah immediately felt comfortable & at ease with Adrian. Even though Hannah had never picked up a golf club before & was hitting balls immediately! 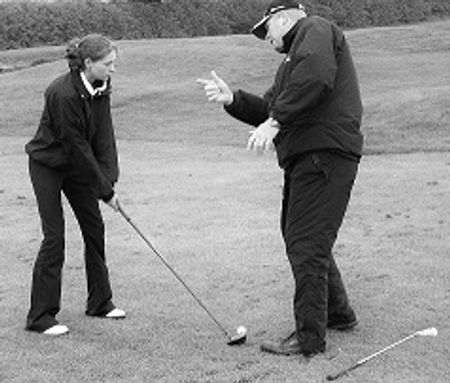 With Adrian's easy to understand coaching she soon progressed & was out on the course in no time. Within a year Hannah was playing in the Northants Girls Roses tour, picking up a few wins & award for best tour player! With Adrian's coaching she has now progressed & won her first competition playing against the ladies. Anthony Mackin has been on a winning run ! Congratulations to Anthony who has now had a his handicap reduced to 9.1 !! So that`s 18 handicap to 9.1 in two years ! "Four years ago I decided that I wanted to learn to play golf. Having never picked up a club before, I had some lessons, bought some clubs, practiced very hard and got nowhere ! After a year of phenomenal effort and misery my best score was still 105. Through a change in circumstances I met Adrian. Five years of his coaching and support have helped me to my greatest golfing achievement, a round of 78. It has been a challenging journey, and would have been impossible without Adrian to help me along. He gave me confidence straight away. At the right times he has assured me that I would break 100, 90, 80. ? and he was always right ! It?s very easy to follow his explanations, never too much science unless you ask for it. On every lesson his fault finding is quick, and accurate, and usually a pretty simple idea can solve the problem. I know (he knows) we have a long way to go sometimes, but we never focus on more than two things in a lesson. He takes an interest in you as a person. We chat about anything and everything, not just golf. He has a made a difference to me, the ordinary club golfer. My achievements won?t make the national golfing press, but they have made me excited and passionate about a game I want to play for the rest of my life." Adrian has been coaching Becky for 3 ½ seasons now and the steady approach has really worked for her. Golf is not something that can be taught overnight and quite often, it is the most frustrating game in the world! But as a parent I have found Adrian’s interaction with Becky very positive and he has definitely helped her find a ‘happy medium’ between playing and practising. He has given her a target for each month of the year and is always checking with her to see how she is progressing, whether it’s with her practice or with any competitions she’s been playing in. This is a huge drop but thankfully this reduction has come in manageable stages. She has won a variety of Junior Girls Open events in her first and second years of playing and this year was successful in being selected for the England Golf ‘Abraham Trophy’ – this recognises girls under the age of 18 who have achieved the best 6 nett scores for their region in the previous year. To me, this highlights her consistency and steady progression. Karin Poolton of Daventry Golf Club. Karin started golf coaching with Adrian Clifford APGA in 1998 and managed to reduce her handicap to 9 handicap by the age of 15. Now playing for the Northants Ladies Golf Team - Current handicap 7. 5 years of hard work enabled Karin to achieve her single figure handicap. "Lessons with Adrian have been the best investment I have ever made in golf - and I've spent some money over the years! His tutelage has taken me from being a reasonable 15 handicapper down to 8, something I never thought would ever happen. His knowledge of the golf swing is outstanding, and the little tweaks he continues to make now see me still improving in my 50's with a target to knock a further 2 shots off my handicap before old age kicks in properly! Alongside his teaching he has fitted me for two sets of clubs, the latest offering from the PGA Collection being absolutely awesome. 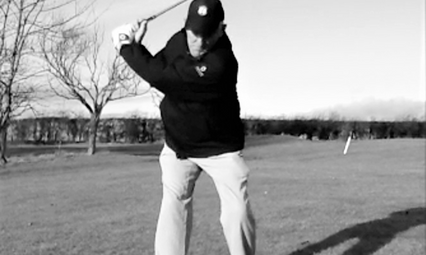 My handicap improvement is testimony to the benefits of custom fitting and lessons. Quite why so many people view flashing the credit card at the major golf retailers as the way to golfing success is beyond me. To adapt the old saying - "golfers who know buy and learn from their pro!" - and pros don't come any better than Adrian Clifford." Since starting lessons with Adrian 2 years ago my game has improved no end. He is a fantastic teacher, an excellent communicator and I`m sure there can`t be a golfer anywhere who wouldn`t benefit from his skills? It was a great pleasure for me to give Charley Hull her first ever six golf lessons. It was clear to see that she was a very special young lady. Now a full LPGA Tour professional. Charley's on the front row in the dark cap aged 7. A very big `Well done` to Market Harborough member Paul Reeve. Playing in the Captains Weekend event Paul shot a `career best` 5 over 75 off of a handicap of 12.2 Pauls new handicap is now 10.8. Paul started lessons with Adrian Clifford back in 2003. 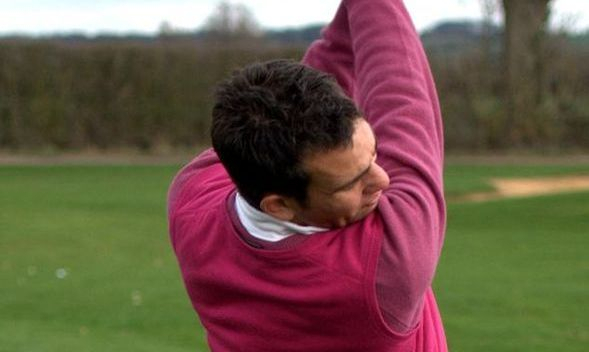 His first handicap was 28 and he is now hoping for a 9 handicap by the end of this season. It goes to show that 10 years of investing in golf lessons really does pays off ! 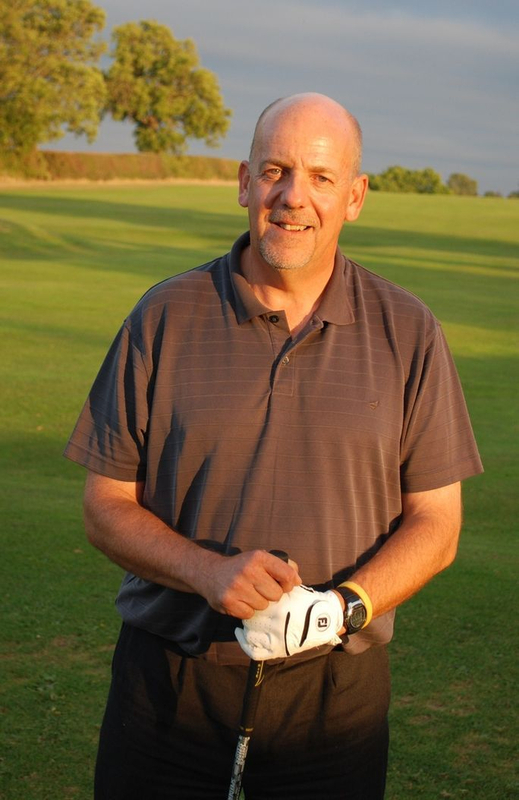 Congratulations to Paul on achieving his new 9.3 handicap ! Steve Bowers - 15 years of coaching with Bigredgolf ! I have been having lessons with Adrian for the past 15 years and have found that having a lesson every couple of months helps me iron out any bad habits picked up in the mean time. Big Red keeps things straightforward and easy to understand which helps me remember what to do when out on the course. He has also taught my daughter Charlotte. From being a complete beginner at the age of 6 she improved her game to become the Leicestershire Girls nett County Champion in 2013. I found that Adrian relates extremely well to juniors and this has helped encourage Charlotte in her golf.